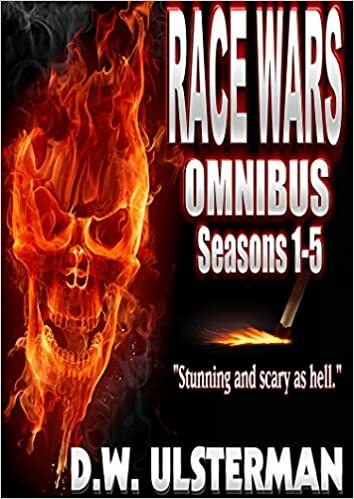 The 8th Season of the ongoing RACE WARS series is to be released very soon. Enjoy the free excerpt below and stay tuned for further updates. And thank you to all those who have been asking how Preacher, Silas, Sabina, and Tom Dolan, etc. have been doing as they battle the evil machinations of Dr. Fenwick Sage and the Beast. Your interest in the series is very much appreciated! …Sanchez remained standing on the other side of the admiral’s desk with his hands behind his back. Briggs began to push against his temples with his fingers as he shut his eyes tightly together and tried to focus the pain out of his head. The admiral opened his eyes and lifted his head to look up at the younger military officer. Sanchez nodded while he watched the admiral’s face suddenly turn bone-white. Briggs shut his eyes tight again. The headache was worsening to the point of debilitating him entirely. He gritted his teeth, determined to finish the conversation with Sanchez. At the very moment Admiral Briggs closed his eyes again in an attempt to cope with the worsening headache, he heard the clicking sound of his office door being locked from the inside. The admiral’s eyes opened to the sight of a gun being pointed at his face. Help To Get My Next Novel Published – Nominate It Today!